We’re stretching the definition of ‘retro’ a little with this one, but nuts to that. Who’s counting? This is a bona fide classic, right here, and that’s good enough for me. 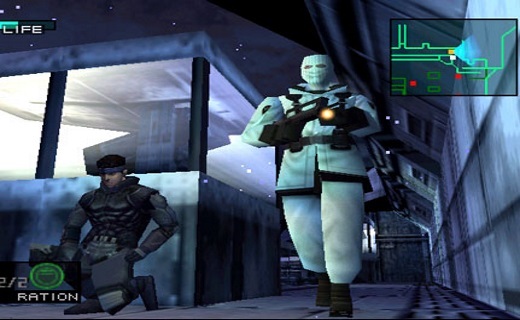 Metal Gear Solid hit the PlayStation in 1998, the first 3D installment in the stealthtacular Metal Gear franchise. It continues the story of our studly hero Solid Snake, once again sent into hostile territory alone in that skin-tight sneaking suit of his. Avert your eyes, and let’s reminisce. 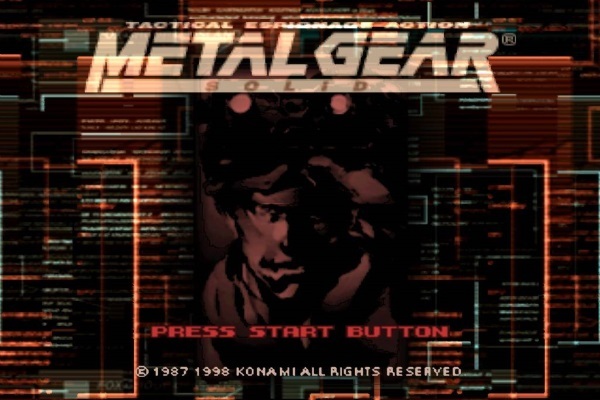 The game is set six years after the events of Metal Gear 2: Solid Snake. It’s a similar mission for the anti-hero, a story of ventilation shafts, hiding in cardboard boxes like a big girl and lots of grey and brown army bases. This time around, a terrorist group dubbed FOXHOUND (renegade special forces types) has commandeered a small Alaskan island. Shadow Moses is the site of a nuclear weapons disposal facility, which is just the kind of place you don’t want a angry band of crazies waving their guns and threats around. The island is home to the nuke-armed mech Metal Gear Rex, whose destruction-tacular capabilities will be unleashed on the world if the group’s demands aren’t met. In short, the U.S government is up to its nose in the brown stuff, and a stealthy one-dude operation is in order. In keeping with Metal Gear tradition, the story is utterly nutty. There are cliffhangers and bizarre events out the wazzoo right here. Traitors are actually triple agents, nobody’s who you think they are and everyone’s lying to everyone else. But don’t worry, you’ll have half-hour codec conversations about nothing at all to clue you in on all this useless stuff you don’t care about. There’s little to say that you don’t already know about Metal Gear Solid. It’s perhaps the most ambitious game the console every saw, and years ahead of its time in a world of Crash Bandicoots and Spyro the Dragons. A truly cinematic experience, and a game replete with memorable moments. Floating physics in gas masks, cyborg ninjas, big ol’ dudes brandishing helicopter gatling guns… this one has it all. As a child, I found the gameplay revolutionary; discouraging the usual mindless trigger happy antics for more methodical play I’d never seen before. Almost two decades later, it remains one of my favourite games of all time.